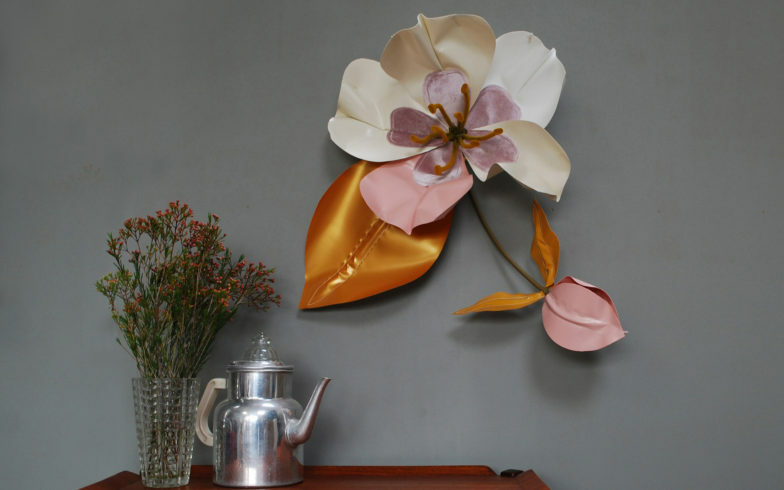 The Wild Rose is designed to decorate your wall. The Wild Rose is a flexible flower; available in units of 1, 2 and 3 flowers and separate leaves. 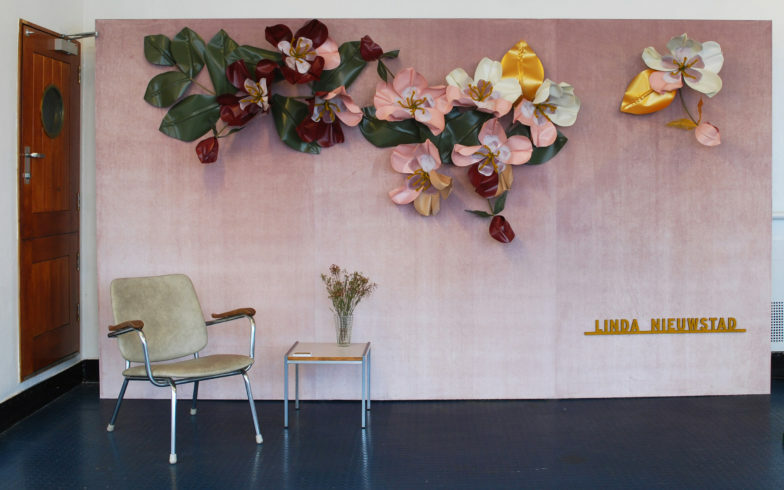 You can fill up an entire wall with Wild Roses or put up a few as an eye catcher. 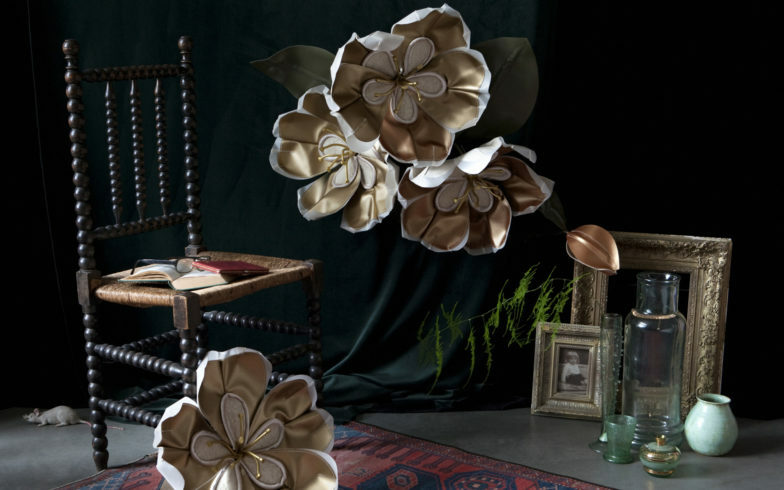 There are two versions of the Wild Rose, a basic version with mainly pvs and details in velvet, a classic collection with velvet leaves and linings and a collection made of golden leather. 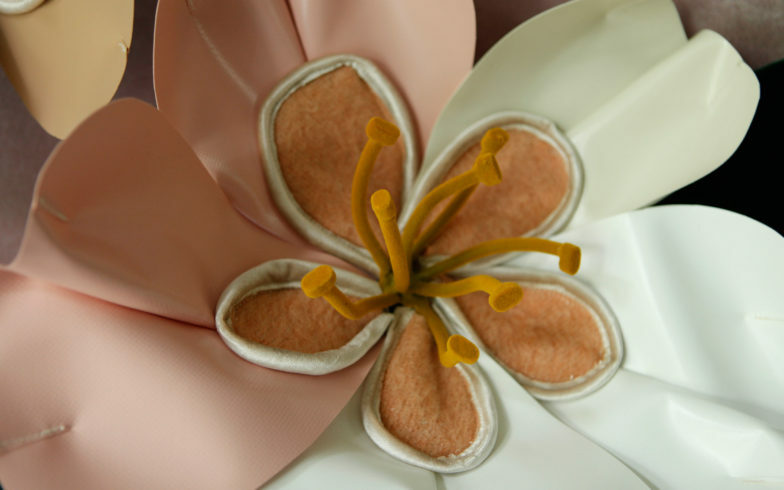 The color of the Wild Rose is flexible; the leaves and the flower petals can be made in any color you wish. If you want the Wild Rose to match with your walls, curtains or couch, please let me know. I am very happy to make the right color combination for you. 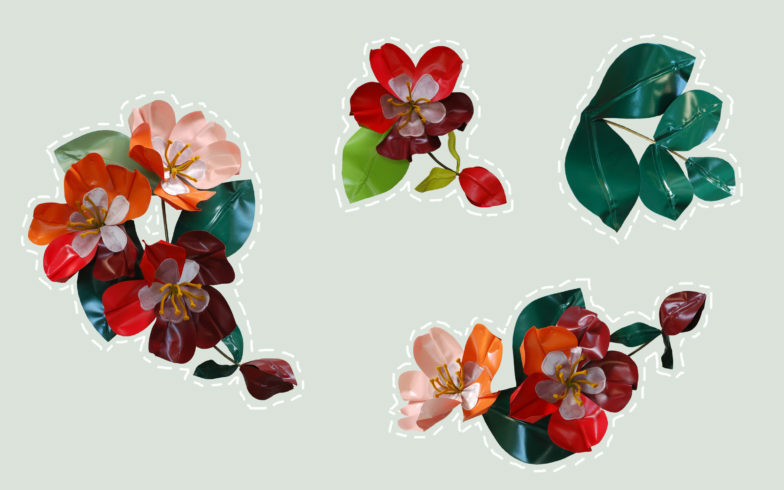 Cut out pictures of the Wild Rose can be downloaded from my page, so you can see how the flowers look like in your project. Press the download button below. For retailers and interior designers, please inform about wholesale/purchase prices. 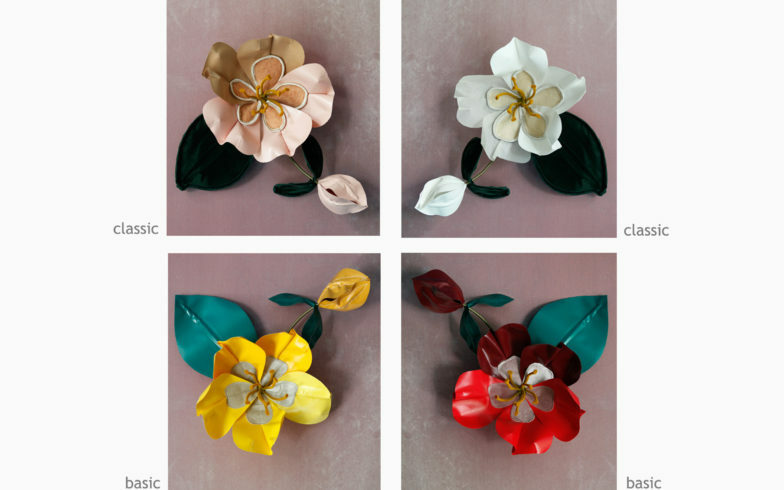 If you are curious how the flower on this page look like in your living room, office, or project, you can download free pictures here. 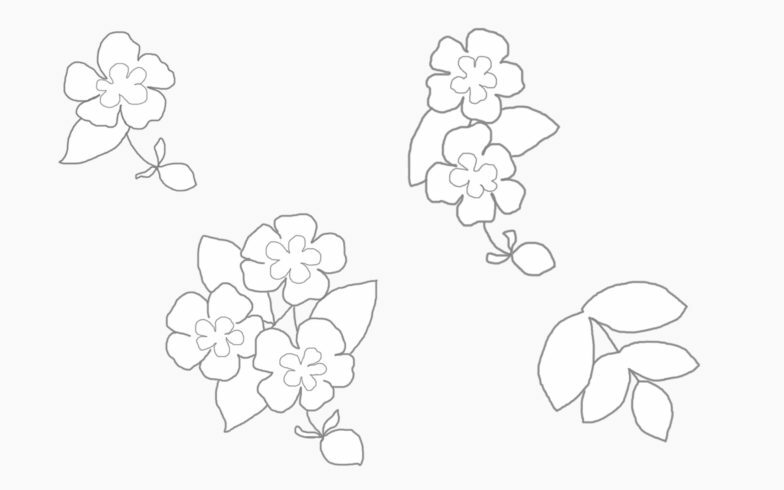 The pictures are cut out, so you can add your own background to the flower to make a perfect match. If you would like to stay up to date about my work, please send me an e-mail, I will add your address to my newsletter mailing list. My newsletter appears 4 to 5 times a year.